This option is available to participants who have never undertaken First Aid training or their First Aid certificate has expired. Please contact us to put your name on the list. Participants should be able to comfortably get up and down from the floor. "I found this course to be thorough, interactive, engaging and informative. The delivery was great. Applying real scenarios to support procedures and processes." "Very interactive and engaging. Made digesting the information and procedures very easy." "I would like to thank (All Skills) for a very good 2 days of First Aid training. I have left this with a different outlook on life." "I have done 3 First Aid courses previous to undertaking the First Aid course with All Skills, and I have learnt far more from (the trainer) than previous trainers. I feel more confident with my skills in First Aid. (The trainer) is a fantastic communicator and able to engage everyone in the course. Both (the trainer & Admin manager) were easy to talk to and able to answer all questions. Would recommend All Skills anytime." "I have been to 2 First Aid courses and without doubt, the All Skills team do an amazing job. Would recommend using All Skills for First Aid training to anyone." "I found (the trainer & Admin manager) very helpful and resourceful with good knowledge, not only in teaching, but with the local areas as well. Well done with all the local community support." "The course teacher is a very experienced teacher. I had the best learning time in the two day course. (The trainer) is very passionate about his job. He is always thorough and explains everything in a way where you will never forget. Keep up the excellent work." "(The trainer) presented the course in an easy way to understand and was supportive. The course was well structured and (the trainer & Admin manager) were hlepful, offering ample information about First Aid. I would recommend All Skills Services to any future clients and services." "Highly recommend All Skills. (The trainer & Admin Manager) were accommodating, helpful and approachable at all time. (The trainer's) teaching techniques are unique and cater to all learning types. I would have no heistation to returning for further training to enhance my own skills. Thank you (All Skills)." "The running of this course was exceptional. (The trainer) provides knowledge in an outstanding way that engages you throughout the course. The learning materials were of a high standard + put together with a lot of thought + effort. Well done, (All Skills)." "Hard but fair. (The trainer) makes the course worthwhile, you get the skills and knowledge you need and want to be able to do basic first aid. The mix of skill based training and written knowledge allows for upskilling yourself and to be competent in helping people if/when needed. (The trainer) is also passionate and engaging which makes you want to learn and makes it easier to do so." "Love the idea of teaching in a way that all types of learners can learn. Great amount of teaching equally via verbal, visual, physical." "Everything was really well thought out, and I learnt a lot. I now feel confident if I was to come across a situation to provide first aid." "Course was great. I feel more confident with first aid than before. Learned a lot. I struggled sometimes when I found difficult/never hearded before word...sometimes too fast for me to understand all of them because of my listening skills." "They have a great team at All Skills. Very professional and have a great amount of knowledge on the course I did (First Aid II)." "Very thorough training. Great trainer." "Very thorough, thanks (All Skills). I came back to this training business as they care about the quality of the training. They do not just tick a box. Happy return-student. I have completed my Forklift High Risk training with All Skills as well." "I enjoyed doing this first aid course. The information received was excellent." "All Skills Services was an educational course. (The staff) were terrific and made the course very interesting. 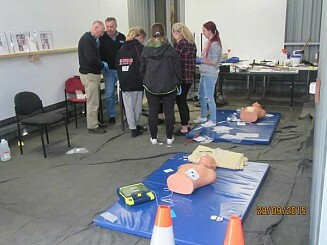 I would recommend them to anyone that are going to do a First Aid Course, or have to Refresher." "Would highly recommend this course to as many people as possible. Course was thorough and explained well. Great to take away some basic First Aid skills to be able to help and assist others rather than observe and not be able to help." "Awesome people. Will definitely refer them to others due to being dedicated people." "Was made to feel very comfortable and loved the way the context of course was delivered. Highly recommend." "Standards, training, fantastic. I feel extremely confident in what I have learnt. Happy to recommend (All Skills) for all your trainings. You hold a very high standard. Excellent job to (All Skills). Thank you." "Very enjoyable course. I now have a well-rounded understanding of First Aid. Highly recommend to any other employers around Maryborough." 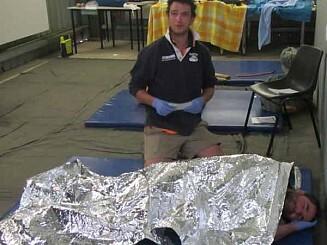 "(The trainer) runs an in-depth, thorough and well communicated First Aid Course. Caters for all learning types and seems to sincerely care about making sure you walk away with actual competency and confidence in your training. (The Admin Manager) made enrolling and understanding expectations a breeze." "Enjoyed to be instructed & educated in a proven way. As a student, I have grown through this course and feel as though I'm better prepared than I have been previously to deal with first aid assistance to my work colleagues. Thank you (All Skills). Highly recommended." "During the time of my course - I found it to be very informative, with an approach that all students can understand. Instructor - is extremely competent and has great learning devices." "Well presented content. Good training aids. People learning and teaching need to stay on topic as this could affect some people's ability to learn. Overall good course!" "The entire course was very well organised & presented. When I phoned to enquire about booking a course, I was well-informed and I was given a prompt follow up call to confirm dates & times." "I found the course to be very helpful, well-spoken and clear." "Absolutely fantastic course. Will be highly recommending. Super friendly and you learn more than you think you will." "I have enjoyed the first aid course & found it very beneficial. Having been out of the learning mode for some time, I was worried pre course starting. However, the intrusctor brought us all along at our own pace until the whole group gelled together for a great outcome." 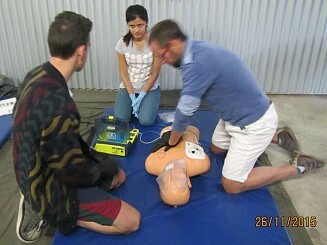 "I have learnt so much about first aid with this course. (The trainer) was able to teach in a range of ways which helped a lot." "I enjoyed this course. I feel confident I can practise first aid when required to do so. My children will love to practise what I show them." "The course was very comprehensive and helpful to myself, the team, and our organisation. It has given us all valued training for the real world." "Very informative, well run, educational, leaving all students well prepared for nearly any scenario. Lots of practical tests conducted to reinforce studies ensuring course details are instilled into student memory bank." 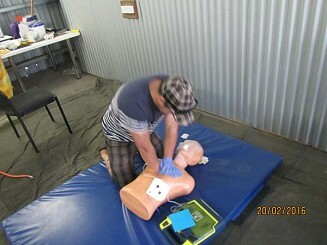 "Informative exercise & pleased to have participated in updating my first aid skills/knowledge." "Very different than other first aid courses I've attended. (The trainer) was very knowledgeable, and we learnt so many things in our 2 days. I would highly recommend All Skills." "All Skills Services work is all good. I get a lot of information & practices regarding first aid. This helps me a lot in my future life as well as my work. Keep going. Never stop your services towards first aid skills." "Have completed 3 First Aid classes in the past. This by far was best. The way in which it was delivered & taught, first class." "Excellent teacher. Very professional throughout course. Easy to understand and very caring." "The course was interesting and incredibly knowledgeable. 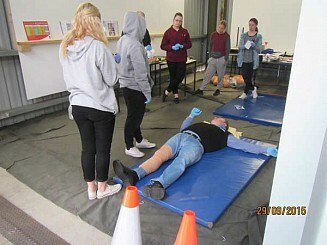 The trainer not only made sure we had full knowledge and understanding of what to do in a situation when first aid was required, but also gave us real life tools, skills and ideas for what to do or use when we mightn't have all materials required." 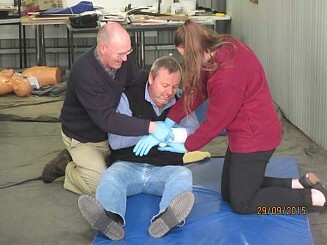 "(The trainer) was very proficient and delivered an excellent First Aid Course. Well-balanced with theory, practice and real-life experience." "Detailed and informative course. Well worth the time and effort." "Very well run, thorough & a great way to learn." "The course is well thought through and make you really think of what you are doing." "Was a fantastic course, very in-depth and well worth it." "I found the course very inclusive and informative. With (the trainer's) teaching method, I believe everyone at the course got great knowledge and learning experience." "Admin Manager was awesome; on the job, very helpful!! The training undertaken over the two days was the most in-depth I have ever done!! Great two days. Loved it!! Loved how down to earth they are!! Tnx (All Skills)!" "I thoroughly enjoyed the 2 day course. I found it comprehensive, thorough and extremely well-presented and assessed. Friendly, professional, caring and thorough. All relevant topics covered in a charasmatic well-presented informative way. By an experienced life coach educator." "I really enjoyed doing my First Aid course with (the trainer). I learnt so much during the 2 days. I would highlyr ecommend All Skills to anyone. Very professional." "1st First Aid course I have done. Great course, I learnt so much over the 2 days. (The trainer) is a great teacher, and (the Admin Manager) professional from start to finish." 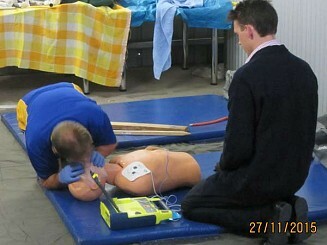 "Excellent training and I now have great confidence to perform First Aid if required." 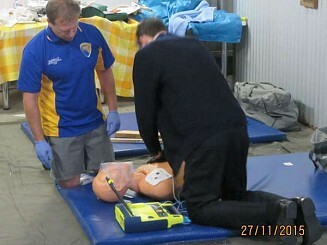 "Well informed First Aid training course at All Skills Services. (The trainer) had a can-do attitude." "An absolutely fantastic course. Extremely comprehensive course tailored to all learning styles and accommodating to anyone of limited knowledge or understanding in first aid. I would highly recommend All Skills Services to anyone looking to gain greater employment opportunities, refresh their first aid, or most importantly, gain knowledge for life on how to save lives." "Accurate, thorough and interesting. (The trainer) knows his stuff and teaches you more than just the basics. He teaches valuable first aid life skills, and we all now feel confident to administer first aid wherever it might be needed." "(The trainer) is very good at his job and I would recommend him to anyone." "I had a great experience with All Skills Training; the learning styles are suited to your needs to ensure you fully understand it. 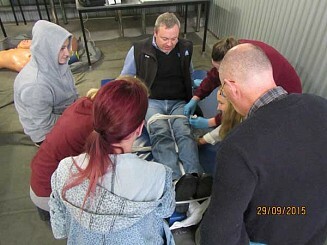 The trainers go above and beyond to help you and give you the knowledge and skills in providing first aid." 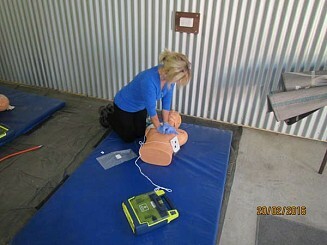 "The first aid course I just completed has been very educational and informative. It was very professionally presented in an excellent learning environment with great facilities and amenities." "The first aid training was excellent!" "Really liked the course, wasn't boring at all. (The trainer) relates most scenarios to life experiences." "(The trainer) was very thorough with his teaching. He demonstrated and we participated with hands on. I will walk out of here very confident in my first aid skills if an emergency arises. A very approachable teacher. I will be recommending him to my son to go there to be taught by (the trainer). (The Admin staff) were excellent in organising this for me so quickly and great communication. Thank you very much guys :)"
"Fantastic course, well explained teaching. Recommend for any training." 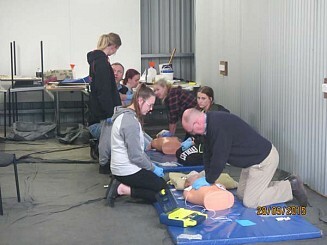 "In comparison to many previously completed first aid courses, (the trainer) provided a thorough and genuine teaching experience with real life experiences. There was no question too difficult or silly and (the trainer) takes a caring approach to ensure each class member truly learns from the course." "I have completed a number of first aid courses and without a doubt, this course was the most comprehensive and informative. I would like to congratulate and thank (the staff at All Skills Services) and hope they provide this service for many years to come." "Very thorough, professional + well documented course." "In the starting I ranked 3 (out of 10 for First Aid knowledge), now proudly 8-9. It was fruitful and gives a lot of practical knowledge which is better than theory." "The course was really well run and informative." 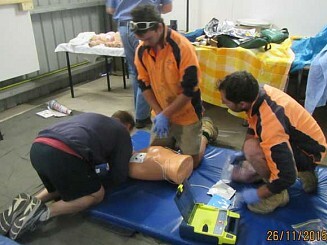 "As a company, we decided to have our staff educated in First Aid. Having done other day long courses in First Aid, I found All Skills Services to offer more than a certificate at the end. We undertook numerous role plays so as to enable hands-on experience. This was very different to other courses undertaken and exactly what we were wanting for the money & time we are investing in our staff." "The trainer is very passionate and enthusiastic. He has a lifetime of knowledge which I found very interesting and useful for the course. Thank you." 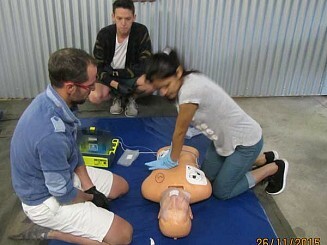 "Overall, I think our instructor did a fantastic job on explaining First Aid & what to do in serious conditions. The information was clear and I found if I wasn't understanding something, he would repeat it again until we all got it. The 10-minutes breaks helped out too, so we all didn't get agitated." "(The trainer) is very passionate and confident in his field. Thank you for the high level of detail in your course and delivery method e.g. videos, practical use, etc. Would not hesitate to recommend All Skills Services to other organisations." "The course was excellent. I fully enjoyed doing the First Aid Course and would recommend any person to do this as there was information I had forgotten about and how to do some First Aid requirements." "(First Aid Course) Fantastic service as always. Can't wait to see the new facility when finished. Always thoroughly informative & relevant. Makes learning easy & achievable." "Thanks for helping me understand what First Aid is all about, and your support, guys!"